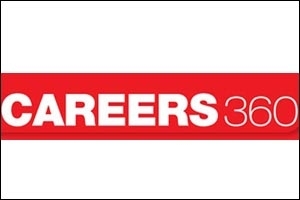 After a recent round of funding, Careers360 has plans for an education marketplace. Consider these figures. In May, this website's Google Analytics number was 8.8 million visitors. According to Comscore, in May 2014, the website reached 4.3 million visitors online. In fact, it is way ahead of its five closest competitors clubbed together. No, this is not a network website of Yahoo or Google. It is the homegrown career-counselling platform, Careers360.com. In the last few months, the company has been carrying out ads of how the platform has surpassed its competitors like the Info Edge-owned Shiksha.com, HT Media-owned HTCampus.com and individual players like Minglebox and Pagalguy, most of which have been promoted on TV, print and digital media. Ask Maheshwar Peri, chairman, Pathfinder Publications (the company that runs Careers360, the dotcom and the magazine by the same name), if he is happy with this success and he shoots back. "All this happened over the last one-and-a-half years. Much of this success is due to the fact that - online - the platform works very much in relation to what the audience is likely to be looking for. "I know for a fact that right now students are searching for how to crack CAT exams, because CAT is going to be held in November and they are going to apply in July or August. Similarly, we also have the average student who is still looking for his or her engineering seat as the JEE score is supposed to come out soon. So at this point of time two sets of my teams will be working on preparing content like 'What happens if you are an average JEE ranker?' The other team will be churning out content like 'How to crack CAT?'" Peri declares. So where are most of these users coming from and what are the kind of users Careers360.com gets each day. The motto of Careers360, according to Peri, is that they don't deal with the top percentile. "We can't cater to those who are looking to enter the IIMs and the IITs. Careers360 exists because we believe that one bad day shouldn't ruin the aspirant's career. Our target is the 60-percentile guy, who has the spark to do big in life. We are just providing the requisite guidance and help. We get users from across the country as there are a lot of 60 percentile students in India," he explains. The portal allows the user to do customize her search, among other things. If a student wants to add another filter of a college that, for example, has a girl's hostel around, the platform can provide that too. If one goes to any college listed on the site today, he will also know about the opening rank and the closing rank of the college because as per Government guidelines that information has to be provided. The platform also gets its users pay to access these data points after a given stage. On any given day Careers360 gets around 60 students paying for accessing data. "The data is so rich that the students don't shy away from paying. They are quite happy to pay me Rs 499 for this access to data. I believe that if there is a credible content player who can use data and present it digitally in a way that the audience can play with it, the platform gets big," declares Peri. While every other competitor was investing in marketing, Careers360 invested in creating content and data. The company always goes for campus recruitment because the freshers understand the problems and issues of the students better than someone who has been out of the system for 20 years. Peri states that the business of Careers360 so far has been advertising revenue and user payments. Advertiser categories have increasingly moved online from traditional media. "If you recall, jobs was a big advertiser category for newspapers some years back. Matrimony was another, but where are all these now?" He argues that with limited supply of inventory, these categories moved online. Besides, exams like JEE, CAT are online. Even the entrance tests of private institutes like Manipal, VIT, SRM are online. "The entire education industry is moving online and hence all advertisers are moving online," says Peri. So what is a print edition of Careers360 doing? For Peri, the print title lends a credibility, which is later leveraged online. "It takes us less effort to make the advertiser spend online if one has a credible offline brands," he adds. Peri, who doesn't think that magazines are dying, feels that anyone who can crack how to use a single piece of content across multiple platforms and create multiple revenue opportunities will survive. Currently, Careers360 prints 140,000 copies a month, of which 40,000 go to school and college libraries that have subscribed. In June 2014, Careers360 raised an undisclosed amount of investment from five angel investors led by Ranjan Pai of Manipal Group, Satya Narayanan of Career Launcher, Mahesh Murthy of Pinstorm and two other undisclosed financial investors. 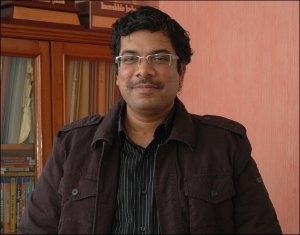 Prior to this, Netcore founder Rajesh Jain had invested in the company when it was launched in 2009. The company will use this investment to build an education marketplace called MyCareers360. This marketplace will allow students to evaluate, compare and purchase education products and services across various parameters like price, quality and suitability. At present, myCareers360 offers admission counselling services, test preparation services and study material for competitive exams in various disciplines like medicine, engineering, law, pharmacy, commerce, MBA and hotel management. It also offers study material for CBSE school students (Classes 9-12) and paid spoken English packages. Besides this, consumers can also purchase subscriptions for Career360′s print magazine. "Our target is to have 500 vendors and 10,000 products listed on the site. By the end of December we hope to have 150 vendors on board. I am trying to bring down the cost of entering the higher education system in India. And that is possible in a marketplace model with many vendors," he states. The company wants to be present across all platforms wherever there is an audience. YouTube videos with frequently asked questions (FAQs) are something Peri is looking at. To leverage the TV platform, Careers360 has a daily programme with NDTV called Heads Up (from 6:30 PM to 7:00 PM). It has plans for the mobile platform as well.